XKCD is one of those things you can always count on to be out there, doing the hard research we all demand. 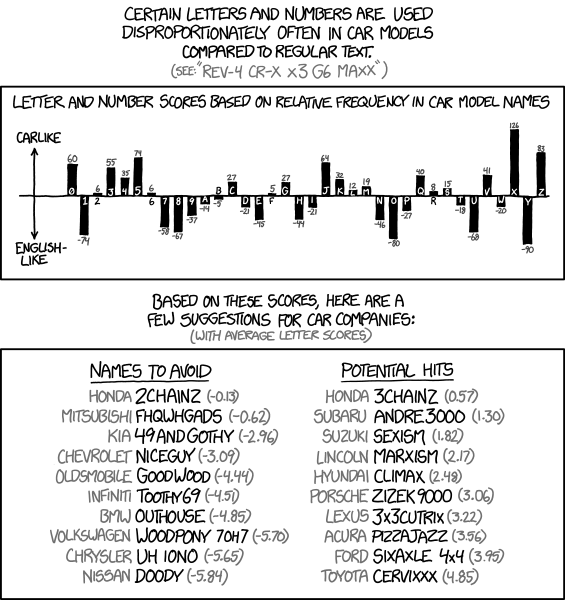 And this time it’s especially useful, since XKCD seems to have used math and statistics and other black, black magic to determine what car names would be most successful. And boy, are they good. First, letters and numbers were assigned scores based on their frequency in car model names, (X scored very well, as you probably guessed), and then used those scores to come up with some names with both high and low probabilities of success. So, on the avoid list we have the BMW Outhouse, the VW Woodpony 7OH7, and, surprisingly, the Oldsmobile Goodwood. 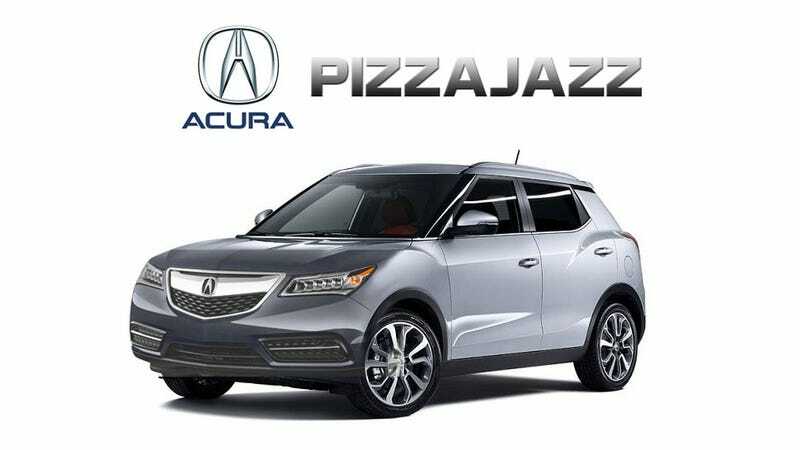 Though, to be fair, Oldsmobile’s existence problem is likely going to trump an issues with naming.